With the aims of strengthening the system of corporate governance for the member companies of the TANAKA KIKINZOKU GROUP, and ensuring rapid decision making and flexible implementation of business operations, in April of 2010 we completed the reorganization of the TANAKA KIKINZOKU GROUP into a new organization centered on TANAKA HOLDINGS Co., Ltd.
TANAKA HOLDINGS Co., Ltd. will operate as pure a holding company providing overall administration for the TANAKA KIKINZOKU GROUP, which is a group of companies specializing in precious metals. Within the context of a Japanese economy continuing to experience ever greater levels of globalization, the TANAKA KIKINZOKU GROUP is being called upon to take further dramatic steps in international market; yet we must remain mindful to base our activities upon our basic concepts of "promoting safe operations and stable procurement," "ensuring corporate trust" and "management based on a customer-first policy." Further, we pledge to contribute to "realizing a well-balanced and prosperous society" by making efforts "to engage in environmental management," as all corporations are now being called upon to do. 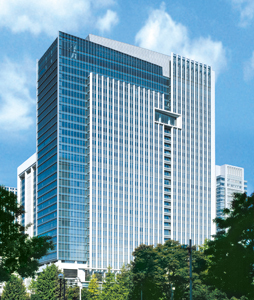 Strategic and efficient group management and management group companies as the holding company at the center of the TANAKA KIKINZOKU GROUP.